Imagine Communications Group Limited announced today that it has agreed €120 million of funding from funds managed by Brookfield, who will acquire a 50.1% indirect controlling interest in the Company in partnership with the Company’s founders. Imagine is an industry leader in the use of advanced fixed wireless infrastructure to deliver high-speed broadband services and an established operator in Ireland. Brookfield is a leading global investor and operator of real assets with approximately $285 billion of assets under management. 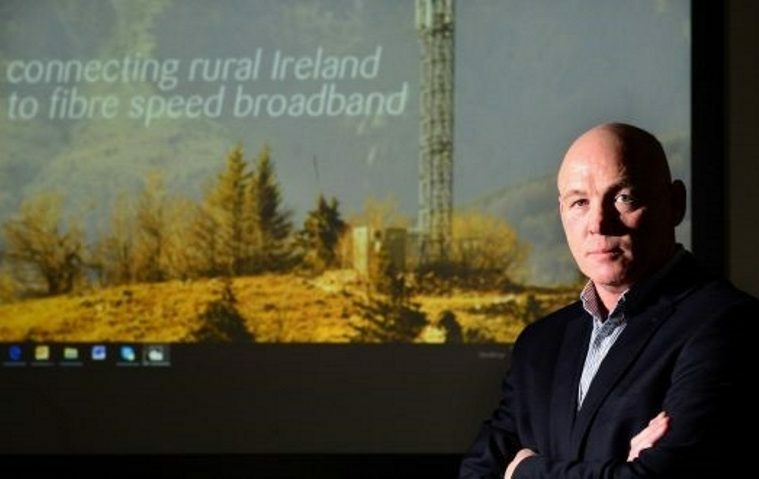 With the early release of the 3.6Ghz 5G spectrum and this investment, the underserved regional and rural areas of Ireland will be the first market in Europe to benefit from Imagine’s rollout of its advanced 5G capable fixed wireless infrastructure. Designed and deployed for fixed services only, Imagine uses its 5G wireless spectrum and infrastructure to provide a secure, high-speed wireless connection between premises and base stations connected to the national fibre network. Imagine’s fixed wireless rollout provides a last mile solution to the challenges in providing high-speed broadband services to users, particularly in less densely populated areas where it has been commercially challenging to do so via fibre to the home (“FTTH”). As more and more people connect to a media-rich web with more devices and average household usage expected to exceed 150GB per month by 2020, homes and businesses need reliable, superfast, high-capacity internet connectivity. While this is driving network investment in fibre backhaul infrastructure to exchanges, cabinets and masts, the challenge remains the last mile connection to the end user. The very high cost of FTTH, significant time to deploy and dependency on access to existing incumbent infrastructure, has and continues to be a barrier and prohibitive factor in delivering services to end users. particularly in less populated Regional and Rural areas. The evolution to LTE Advanced and 5G and the significant increase in capacity has unlocked the potential of a new 5G Fixed Wireless model as a future proofed alternative ‘last mile’ solution to connect premises to fiber. While 4G has enabled high-speed mobile broadband, the requirement to simultaneously connect thousands of mobile devices significantly reduces the effective coverage and capacity available to individual users making it unsuitable as an alternative to fixed broadband. However, deployed exclusively to provide fixed services (no mobile services), using only intelligent external antennae professionally installed at the customer premises, the capacity of the base station is optimised to provide a secure and dedicated high-speed connection to fibre at the bases station to a predefined maximum number of users over a comparatively wide area. 300Mbps services, successful trials of 1GB services and a clear defined industry roadmap to 10Gbps as more 5G spectrum becomes available, fixed wireless is becoming the preferred alternative to previously planned FTTH deployments to deliver future proofed ultrafast broadband services. The transaction is subject to certain conditions including competition and regulatory approval and is expected to complete in the third quarter of 2018.